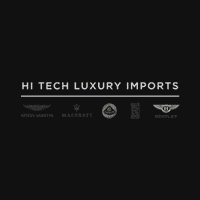 I worked with Oliver Purvis to buy a pre-owned Mercedes from Hi Tech Luxury Imports. Even though I was out-of-state and never visited the dealership in person, Oliver made the transaction smooth and painless. He was my go-to guy for meeting the mechanic I hired to perform a pre-purchase inspection of the vehicle and was my contact person to meet the car transporter who delivered the car to me. Oliver was prompt, did what he said he was going to do, and honest. I have purchased six vehicles in the last seven years from Late European. I must say Brian Aldesman and Sean Seamen are the best in the business. They truly work for the customer, they don't forget about you once the transaction is complete. No need to leave Austin to by an exotic, Late European is the place to go. Great dealership with the best customer service of any dealer in town. Low pressure sales and good after sale follow-up. We have purchased three cars from them so far and have had a seamless, pain free, experience each time. We always work with Brian. 5.0 star rating9/26/2016I have bought many exotic cars and this Aston Martin buying experience is right up there with the best! I have a dealer 10 minutes from my home in NJ and I went to Texas to purchase my car. Wow was it worth it!Shawn and Sonny are the utmost professionals. I was treated with honesty, integrity, and customer service second to none.The communications was always timely, respectful, and on point.They are men of their word. If they tell you something is going to be done it is done. On time and correct.Good place to do business and they have earned my repeat business.Thanks again guys. Well done.